Roasting Is Worth Waiting For! Swiss Chalet’s roast chicken is one of the healthier dinners you can get amongst all the fast food out there. Roasting is one of my favourite methods to prepare meat. All the flavours are being infused into your meat while the fat is melting and dripping off, creating an incredibly tasty and healthy dinner! The only downside to roasting was that it usually takes at least 60 minutes. However, most of that time was just waiting time, so what we did was set the table and talk about our day at the dinner table while waiting for it to be done. 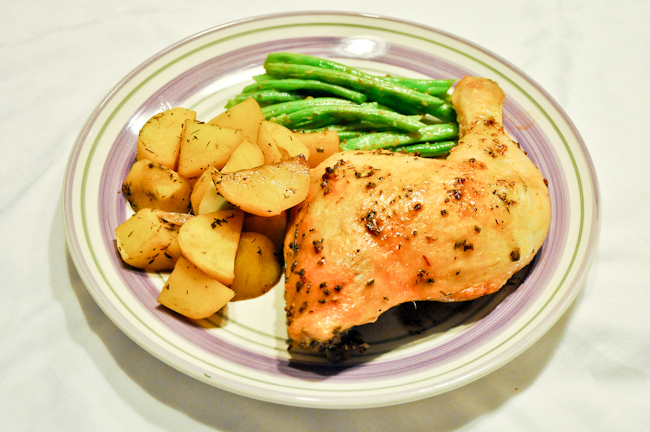 This Balsamic roast chicken came out just perfect making all the wait worthwhile. Both Huan and Glee ate it up so fast and we were done dinner in no time. That put a big smile on my face! If you prefer white meat, boneless chicken breast takes even less time to cook. Bake the potatoes first and mid way just add the seasoned chicken breast on top. The side of vegetables can be replace by any of your family favourite vegetables. Rice Doesn’t Have to be Boring! In the Chinese culture, rice is the main ingredient we cook in our kitchen. Every meal consists of rice and it is considered the core of every meal. All other dishes are made to go with the rice. For the longest time, I really thought there was only one type of rice in the world, White Rice! Whenever I made rice, I used to just either make it plain or make it into congee (soupy rice). Then I noticed that Huan would eat all of his dinner and very little rice. I then asked him what was wrong with the rice. He told me that he didn’t like plain rice. So I started looking into different ways of making rice a few years back. Oh Boy! Did it ever open the gate of rice for me. I found out that there were so many different types of rice and there were a million ways to cook them too! I got so excited and tried many recipes and we barely ate plain rice any more! This is one exciting rice recipe, the risotto. Delicate crabmeat, zingy lemon and fennel make this a really impressive meal. It is so gourmet and the presentation is just fantastic! It is perfect to serve your guests because it makes you look like a pro without slaving away in the kitchen. It is very quick and easy to make. 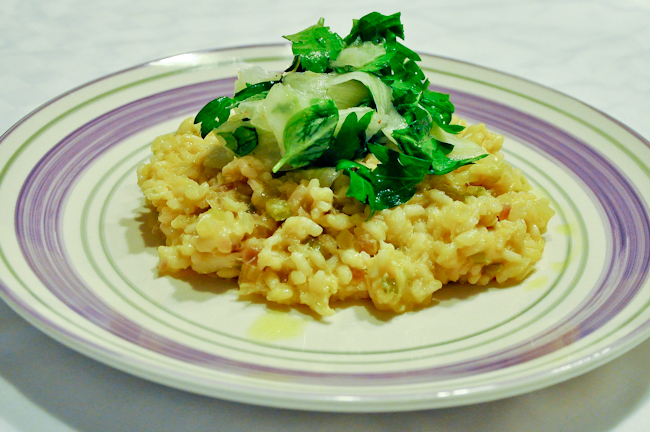 Risotto is usually very creamy, but this one is rather refreshing and light! I am sure you and your family will love it! To speed things up, you can chop your celery, onions and fennel in a food processor. I hope everyone had a fabulous week! 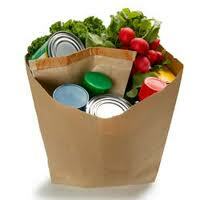 Here’s the shopping list for this weekend and this is what we are eating for the week! Have fun shopping and and enjoy you weekend! If you set up your pantry, fridge and freezer according to my “Stocking Your Pantry” post, you should already have all these items on hand. However I just put this list together so that you can double check as you will need them for this week’s dinner plans. When you try a recipe on our site and you liked it, please share with your friends and family. Just click the sharing buttons located at the bottom of each page! 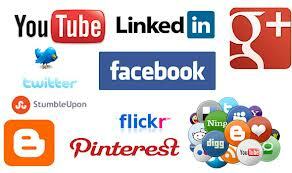 Gleeful Gourmets is now also on Google+, please share with your circles! Thank you for your continued support! Fantastic Fajitas Mean Fabulous Family Friday! Every week I would try to incorporate FQT (Family Quality Time) at one of my dinners. 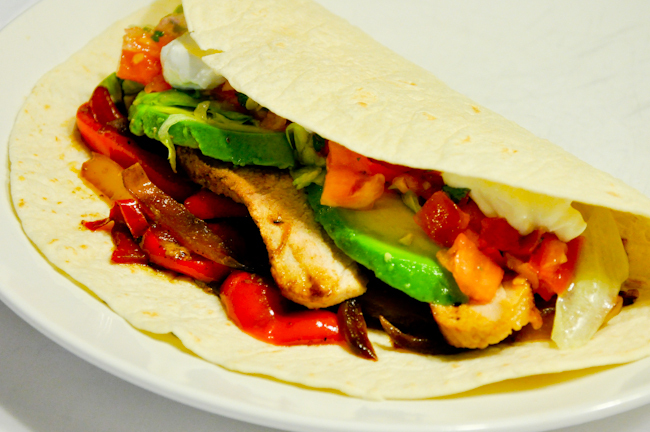 This week I’ve chosen this fantastic fajitas recipe. Not only that it was really easy to make, it was a lot of fun eating it too! I marinated my chicken in advance and an hour before dinner, I got my husband to cook the chicken fajitas while Glee and I prepare the salsa, avocado and lettuce. It was really fun because Glee is at an age where she’s really interested in playing kitchen. So for me to let her help with the real thing, she was super excited! I took the opportunity to teach her her vegetables. When it was time to eat, we all talked about how we like our fajitas. My husband liked his with more meat while I like mine with more salsa and vegetables. Glee seemed to like eating each ingredient separately starting with her tortilla! To save time, you can marinate your chicken, make your salsa in advance. As long as they are refrigerated you can keep them up to 24 hours. If you are not a chicken fan, you can switch the meat with pork and it will taste just as good. During my last visit to Miami, I was able to get some time to watch cable TV. I immediately tuned into Food Network and watched many cooking shows. I came across this fish recipe and I thought to myself that it looked so good I got to try it when I get back. The tragedy was that I forgot to write down any notes and I couldn’t remember which chef was making this. So I decided to just improvise based on my memories. Last week, Glee was sleeping over at my sisters so my husband and I had a date night. I thought it was a great opportunity to give this recipe a try because most of the ingredients were new to Glee. When Glee’s around, I tend to stick to something that she’s more familiar with and only try one new thing at a time. Having said that, I knew it was a risky move because my husband was never a big fan of fish. Well, when he walked in the door after dropping Glee off, he told me that he thought it looked so fancy! After a few bites, he asked me, “What kind of fish is this? I really like it! We should have fish like this all the time!” That put a big smile on my face! So I would like to dedicate this fish dish to my beloved husband, Huan. I finally made a fish dish that he loved. 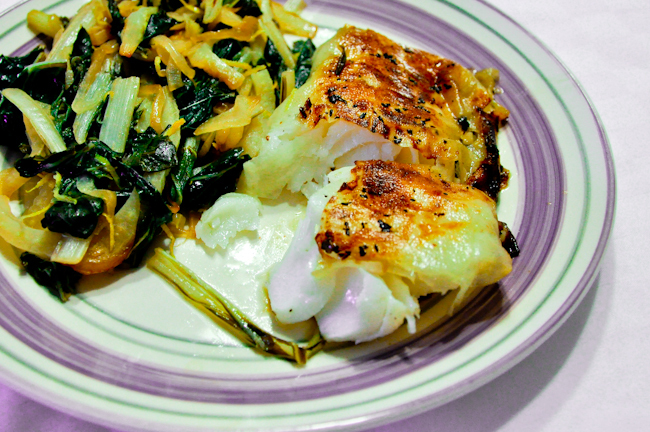 You can use any type of white fish for this. Just make sure the fillet is the centre cut so it is nice and thick. I don’t recommend slicing the potatoes by hand or a peeler because you need them to be thin enough so they can fold but not too thin that it is going to rip. This year Glee got lots of Play Doh with a kitchen set for her birthday. She loves her Play Doh; she plays with them every chance she gets. Not only that she loves to play, she always wants a playmate. Because she’s the only child, either daddy or mummy has to play with her. Either way, she always gives us a piece of her Play Doh and says: “Loll it? !” Because she can’t make a ball herself, she wanted us to do it. Then she puts them in her play oven to bake them. She inspired me to make meatballs. I knew that she would be all over them and may end up eating more at dinner time. So I took the opportunity and made some meatballs and introduced her to curry at the same time. I was very careful with not over flavouring them and made smaller ones just for her. 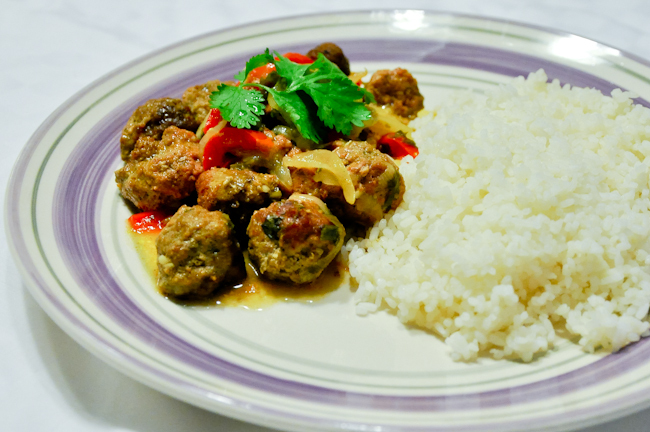 I rolled both 1/2-inch and 1-inch meatballs. She ended up loving them and ate 5 of them that night! You can replace the ground beef for ground chicken if that’s what you prefer. If you like vegetables, you can add other vegetables like carrots and celery. That’s how flexible the recipe is. Who is Baby Pork Chop? Whenever I see or hear “Pork chop” I think of the two most important people in my life; my husband and my daughter. 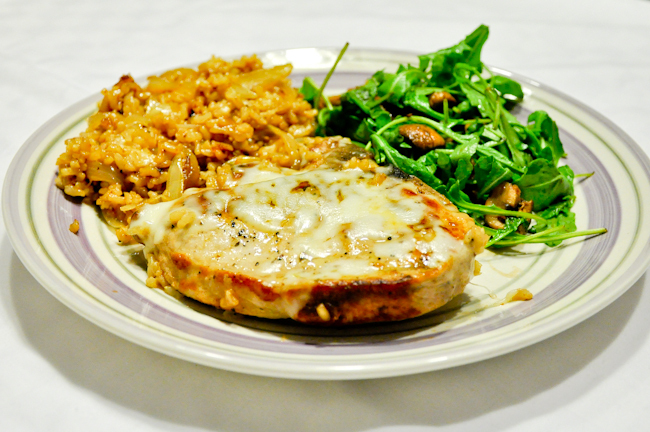 Therefore I can not choose a pork chop recipe without telling you why, so here it is! “Pork chop” is my husband’s favourite nickname for Glee. Glee was a very small and skinny baby when she was born (5lb 13oz). We were a little worried because she barely made it onto the growth curve in terms of weight. After her second month check up, she gained some weight and made it onto the growth curve. I started saying to my baby that she now has pork chop legs while bathing her and my husband happened to hear it and started calling her “Pork chop” ever since. When people asked why “Pork chop?” he said because she was so delicious he could eat her up! Isn’t it funny how some things work in life?! Pre-cooking your brown rice in advance would ensure that dinner will be done on time. If you are not a fan of arugula, you can pair it with any leafy salad or just the glazed mushrooms by themselves. You can also omit the cheese if you are lactose intolerant. Almost everyone I know loves Thai food. However when I ask them if they have been to Thailand, almost none of them have said yes. I visit Thailand every chance I get. It is such a beautiful and fun place to visit. However, I must say the food there was not what I expected; It was nothing like the Thai food in North America. The food there was so spicy that I could barely taste anything else other than the chillies. If you ever visit there, whatever you order, you must tell them that you want yours mild. Even at mild, it was still pretty hot! 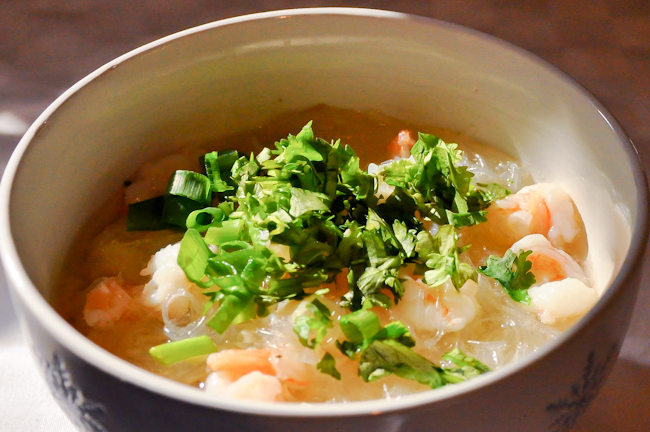 Here’s a refreshing noodle soup to help your imagination get to Thailand. I remembered my first time visiting Thailand back in Summer 2003. I went with my husband (boyfriend back then). We wanted an adventure type of vacation, so instead of joining on a tour we went off on our own to explore. We visited Bangkok and Koh Samui. The most memorable thing that we did was the elephant trekking in the forest. We got to get in touch with nature, swam under the waterfall and interacted with the elephant. We were so amazed at how gentle and smart elephants were! It was one of those experiences that I recommend trying at least once in a lifetime! If you don’t have fish broth, chicken broth will do the trick. Also, you can replace the shrimps with pre-cooked shredded chicken breast. Thank you for signing up with Gleeful Gourmets! After a week of turkey meals, I am sure you are craving for something light. So this week we are going to lighten it up with some varieties. Here’s what I’ve put together for the week. I hope you and your family will enjoy this week’s menu! Have fun shopping and please note that you don’t have to eat the meal in the same order as we did in our family. That’s why as a member you get all 5 recipes at the beginning of the week, so that you can take a look at the prep and cook time and decide which fits your busy schedule best! 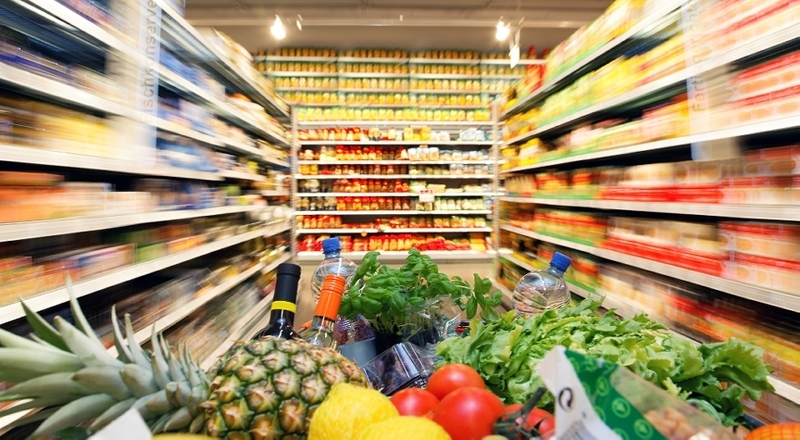 The following items should already be in your pantry, fridge and freezer. If not, don’t forget to get them as you will need them for the week.